NDA Government announce thier last budget before going to election 2019. 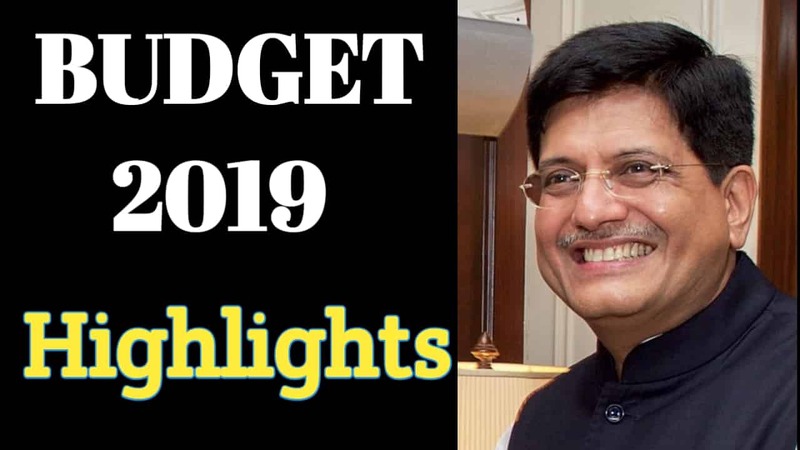 I am summaries some major Highlights of Budget 2019. IT Returns processing in Just 24 Hours. Tax assessment ill be done electronically, Within 2 years. Custom duty has abolished from 36 Capital Goods. *Full Tax rebate upto 5 lakh annual income after all deductions. ( 5% Tax applicable – Now tax rebate value upto Rs. 12500/- ). Standard deduction has increase from 40K to 50K. Ceiling Limit of TDS u/s 194I has increased from 1.8Lakh to 2.4Lakh. Ceiling Limit of TDS u/s 194A has increased from 10K to 40K. Benefit u/s 80IB has increased to one more year i.e. 2020. Exempt on tax on second self-occupied house. 60000 crores allocated for MANREGA. 22nd AIIMS has to be opened in Haryana. Approval has to be given to PM Kisan Yojana. Rs. 6000 p.a has to be given to every farmer having upto 2 hectare land. Applicable from Sept 2018. Amount will be transferred in 3 installments directly into bank account. PCA restriction has abolished from 3 major banks. ( Bank of India, Bank of Maharastra & Oriental Bank of Commerce ). 2 lakhs seats will increase for the reservation of 10%. Tax free Gratuity limit increase from 10 Lakhs to 20 Lakhs. Bonus will be applicable for workers earning upto 21000 monthly. 2% interest subvention to farmers pursuing animal husbandry and fisheries. Rs 1.7 lakh crore to ensure food for all. 26 weeks of Maternity Leaves to empower the women. Defence budget increase to 3Lakh Crore. 2% interest relief for MSME GST registered person. National kamdhenu ayog for cows. Rs 750 crore for National Gokul Mission. Best WordPress Plugins 2019: 10 Must Have Plugins For a Website. Push Notifications WordPress: How to Setup for Website & Blogs. Cheap web hosting – Web Hosting in India. Android tips and tricks:- Android hidden tricks 2018.